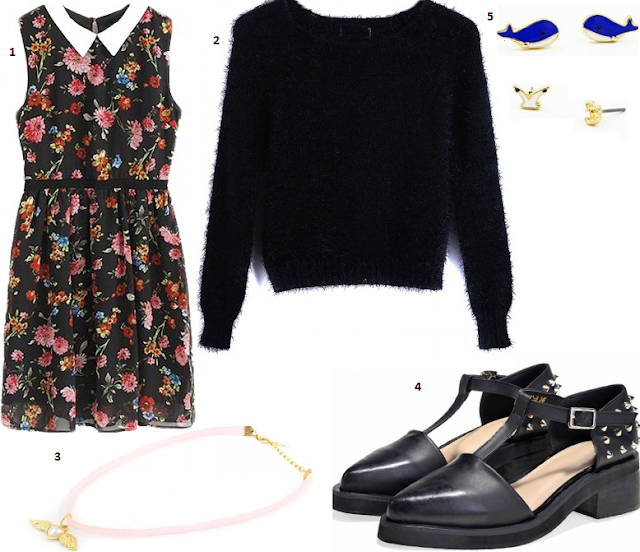 This would be so cute on casual summer days or in the winter with black tights and ankle boots. I could even dress it up with a black jacket for work! Mohair jumpers are staple items for me, I can't get enough of them! I actually don't have a black one and I love that this one is cropped so it will look cute with high waisted skirts and trousers. This is beautiful and it's a really girly way to rock the choker trend. I love the baby pink colour and the adorable drop heart. These look absolutely amazing! I love cut-out style shoes and the studs really set them off. These would look cute for work. Aawww- how cute are these little whales?! I love these, I think I could get away with them for work as they're quite small and dainty but they're still sooo adorable. I think I'll be ordering from Choies very soon as they have the cutest stuff available at the moment!